Pacific Power’s Murder Creek substation, which serves Millersburg and environs. 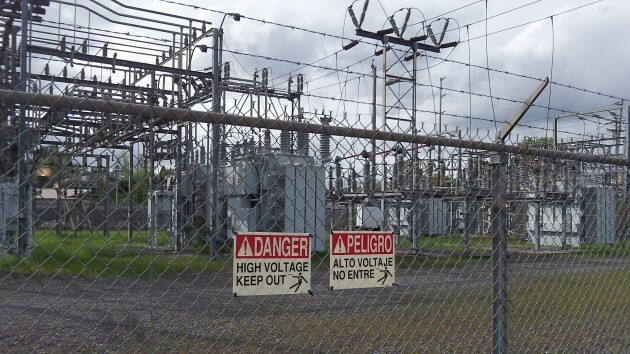 So much for the notion of forming a municipal electric utility in Millersburg. It looks to me as though Tuesday’s election results make it very unlikely that Millersburg voters would approve, in the foreseeable future, the borrowing that would be necessary to change electric suppliers. More than half of all 1,028 registered voters approved an initiative to subject any future substantial borrowing by the city to an election. That suggests that voters are sufficiently worried about the town incurring substantial debt of the kind needed to buy out Pacific Power’s investment in the system plus related costs. Such a future debt would have to be paid off over time in the form of electric ra treatment rates. And voters would have essentially no control over the setting of those rates, which would be done by the city council, other than to elect different council members at the next election. The only way to meet those concerns is to guarantee ratepayers vast savings in their bills for a very long time, and it’s hard to see how such guarantees could be made. Given this initiative mirrored what already happened in Albany, it appears that the core issue here is one of mistrust – Millersburg residents, like Albany residents, do not trust local government to make rational decisions when it comes to debt. Score another point for direct democracy. It will be interesting to see if the Millersburg City Council will act like ours would, and go forward anyway?